Can Your Outdoor Kitchen Increase Your Home’s Overall Value Before You Sell It? Outdoor kitchens are considered by many to be a staple of luxury and trendiness. Whether you own a smaller one, or you have dedicated a large outdoor space to a beautiful kitchen featuring pillars, an archway, cutting edge appliances and stone walkways, you’ll find that a lot of people will regard your kitchen with awe and be a lot more interested in your home than before. Curb appeal is great for any home, and an outdoor kitchen shows that your home is definitely appealing. It doesn’t even have to feature any fancy terracotta fixtures or chrome-plated elements to stand out. 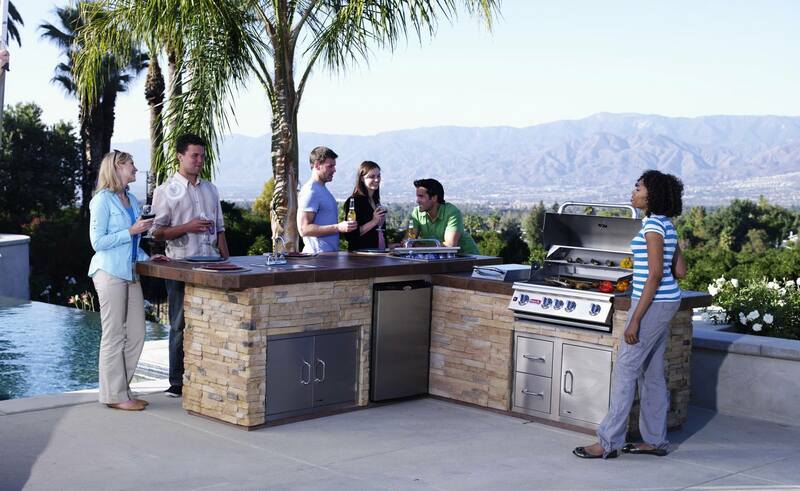 Just by investing $5,000 – $7,000 in putting together your outdoor kitchen, you will have obtained the desired result. The great thing about owning an outdoor kitchen is that the amount of money you’ll get back for it will match and exceed what you’ve put into it in almost all cases. Let’s say you went all out and made some inspiring choices investing almost $10k into your new outdoor kitchen. If you play your cards right and hire a good realtor, chances are you can sell your home for a total that exceeds your initial price by more than twice that amount (or in some cases even by a margin of $20k-$30k if you’re lucky). Feel free to contact Lehrer Fireplace and Patio for all your outdoor kitchen options, patio furniture and good quality gas fireplace inserts in Denver.